Honolulu rail authorities confirmed Monday that they had received a third subpoena in connection with a federal criminal investigation into the state?s largest public works project. 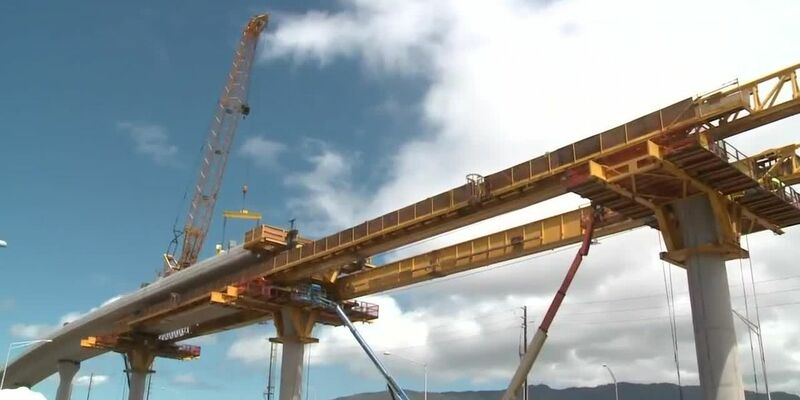 HONOLULU (HawaiiNewsNow) - Citing concerns about two impending construction contracts, the FTA has decided to delay the release of hundreds of millions of dollars in federal funding intended to help propel Honolulu’s rail line toward completion. But in a press conference HART CEO Andrew Robbins said he was pleased to see the feds are now saying they will approve the $9.2 financial recovery plan, as long as two additional changes are made. In a letter to HART officials dated March 29, federal transportation officials said they still had serious concerns the cost of construction of the final miles of guideway -- from Middle Street to Ala Moana Center, and a major park and ride in Pearl City. Most of the other aspects of HART’s funding recovery plan, submitted last November, were approved by the federal government. The FTA said the rail’s revised total project cost of $9.2 billion and estimated completion date of September 2026 were both “reasonable," and noted changes to Hawaii’s General Excise Tax and Transient Accommodations Tax would help adequately fund the project. But the agency noted that delayed decision-making with regard to construction of the City Center Guideway and planned Pearl Highlands parking garage had caused the city’s timetable to change. As a result, a contract for the work on those two projects is not expected to be awarded until January 2020, and the feds said they will now delay any federal payments until it sees the results of that bidding process. The city has already made plans to borrow money to cover the gap in funding caused by the delay of federal payments. And to prevent causing additional financial pressure the FTA said when the payments do resume, in increments between $100-150 Million, it will pay the money faster to make up for the delay. Robbins said that could even result in a slightly better financial position for the project. In a statement issued Thursday, HART officials said they believed they would be able to present the FTA with that cost amount during a meeting scheduled for the end of the month.